New York — The Port Authority of New York and New Jersey selected a team led by Mott MacDonald to implement the vision plan set out by the Governor’s Airport Advisory Panel for the redevelopment of John F. Kennedy International Airport. Mott MacDonald will work in partnership with the renowned architectural firm Grimshaw, with the support of skilled specialty consultants. The vision plan is intended to revitalize the airport and place it among the ranks of world-class airports. In addition to concept design for near-term improvements, it includes a 30-year master plan that covers terminal, gate, aircraft parking, and airfield capacity; airport transportation access and parking systems; air cargo facilities; and airside support facilities (fueling, deicing, maintenance, and cogeneration). The overall project is expected to drive investment of up to $10 billion. Of the 20 airports currently ranked the best in the world by Skytrax, the Mott MacDonald team has worked on 10. 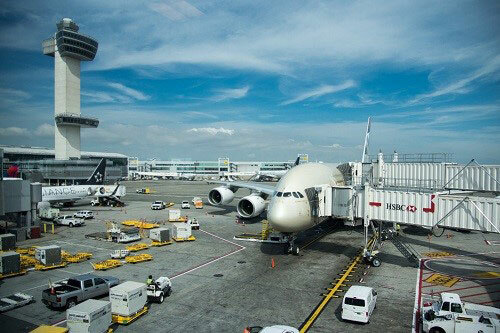 Together, the team’s experience includes prior master planning and redevelopment work at airports in Australia, Canada, Germany, Hong Kong, the Netherlands, South Africa, South Korea, Switzerland, and the United Kingdom.